Snuggwugg is the adorable new baby pillow that occupies and entertains during wiggle free diaper changes, traveling with toddlers, tummy time and more. 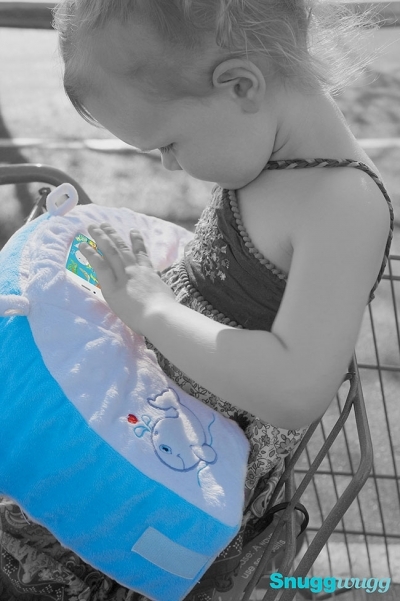 Multi-Award Winning and mom invented Snuggwugg is fun in car seats, strollers, & shopping carts too. Perfect with toys, teethers, flashcards or educational apps. Visit Snuggwugg.com to learn more. Mom Invented. Eco-Friendly Washable & Portable. A great pillow to help them play with and give the baby something to entertain them. Cute design and very soft, textured fabric make a great baby pillow.